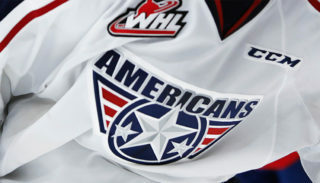 KENNEWICK, WA – The Americans have drafted 11 players in this year’s draft featuring 2002 birth year players. Those 11 include six forwards, four defensemen, and one goaltender. With their first pick, 12th overall, the Ams selected 15-year-old Kaden Kohle, a power forward from the Humboldt Broncos. 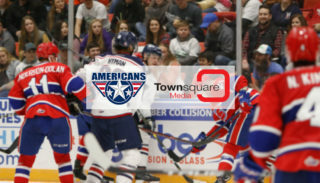 Kaden, listed at 6’2 and 186 pounds, is the 5th straight forward taken by the Americans in the first round of the Bantam Draft. The Humboldt, SK native has stayed at home playing with the Humboldt Broncos for the past two seasons, racking up an impressive 38 goals and 28 assists in just 29 games this season. In the second round, the Americans selected Thomas Cadieux (34th overall), a defenseman from the Notre Dame Hounds. The 5’11, 155 pounder put up eight goals and 13 assists this past season in 29 games. The third round of the draft featured the Ams only netminder pickup in Talyn Boyko (53rd overall). Talyn is a 6’4, 149 pound tender from the Pursuit of Excellence Hockey Association. In his 18 appearances this past season, he had a 2.9 Goals Against Average, a 0.886 Save Percentage, and a 13-2 record including two shutouts. Barclay Parneta had this to say about the overall draft; “We really think that we have helped shape the future with a combination of skill, speed, compete, and grit from this group. We are going to be a hard team to play against with an offensive punch. Going into this draft, Bob Tory (General Manager) had shaped a vision and criteria of what he wanted to build with. I think as a whole, the scouting staff has done a great job at recognizing those goals and sticking to them. 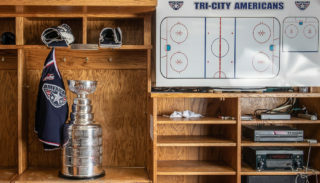 The WHL Bantam Draft is the WHL’s talent identification process and serves as the first opportunity for WHL teams to add players to their respective 50 player lists. 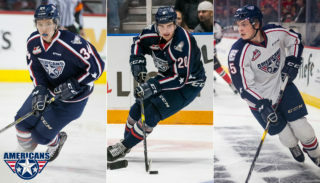 Eligible players for the Bantam Draft were 2002-born players who reside in Alberta, B.C., Manitoba, Saskatchewan, Northwest Territories, Yukon, Alaska, Arizona, California, Colorado, Hawaii, Idaho, Kansas, Minnesota, Montana, Nebraska, Nevada, New Mexico, North Dakota, Oklahoma, Oregon, South Dakota, Texas, Utah, Washington and Wyoming.